A view of the upper Calder valley from the slopes of Swarth Fell. The summit to the left is Grike, with the top of Crag Fell (overlooking Ennerdale) in the centre of the skyline and Whoap to the right. 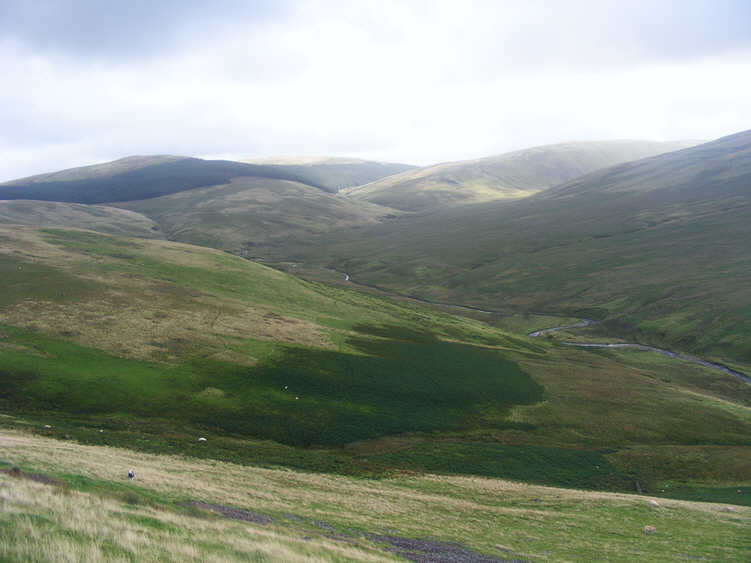 The dark slope on the right of the picture is Lankrigg Moss.